While one door closes on Voice over Internet Protocol, another opens. 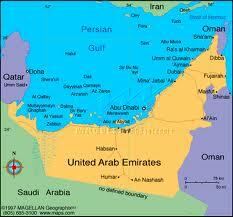 China VoIP may be illegal to all but the approved state carriers, but UAE VoIP is becoming more widely accessible. The Telecommunications Regulatory Authority (TRA), which regulates VoIP for the United Arab Emirates, is now allowing licensees to offer VoIP services. The TRA has stated that only regulated licensees such as Etisalat and du may provide VoIP services, although other parties may approach the licencees to work with them. This is a step forward from a previous ban on VoIP services in much of the UAE and the Middle East. VoIP services are defined as an end-to-end voice service or an additional feature to a connectivity service. Executive director at the TRA, Mohammed Gheyath, said: "We believe that this regulatory policy will provide opportunities to benefit from VoIP services in keeping with the market demands. He added: "The TRA looks forward to the introduction of VoIP services which respond to business and consumer needs." Meanwhile Mohamed Al Ghanim, the director general of the TRA, explained that the rules protect telecom customers, as the TRA can only help customers of registered services. He also said that the TRA had been working with Skype and other VoIP providers to potentially establish their services in the UAE. 1 Response to "UAE VoIP Regulations Relaxed"
http://www.softphonevpn.com now provides free VPN connection to unblock skype and VOIP calls from windows, mac or linux computers, it's limited for personal usage only, FYI.